I had a fun girls day out with my friends Robin and Yuki. We decided to visit a quilt shop we had heard a lot about. It is in Bettsville Ohio about 2 hours from where I live. We left early in the morning and got there around the time they opened. It is a smallish shop in the middle of *nowhere*! An old barn packed full of fabric! Over 15,000 bolts!!! It was overwhelming! 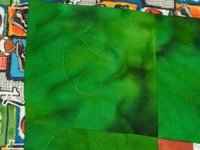 Here are just a few photos of some of the rows of fabric. After spending almost 3 hours in the shop we went to the local golf course for lunch (there are NO other places for lunch!). 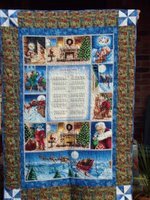 We went to another shop in Sylvania, Ohio and then stopped at the Quilt Patch in Tecumeseh, Michigan for our final stop of the trip. We left just as a shop hop bus was arriving! Perfect timing!! 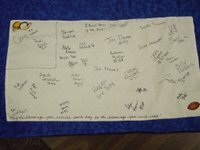 I told you I would post a pic of my siggy block. I finally got them all signed! WHEW!! 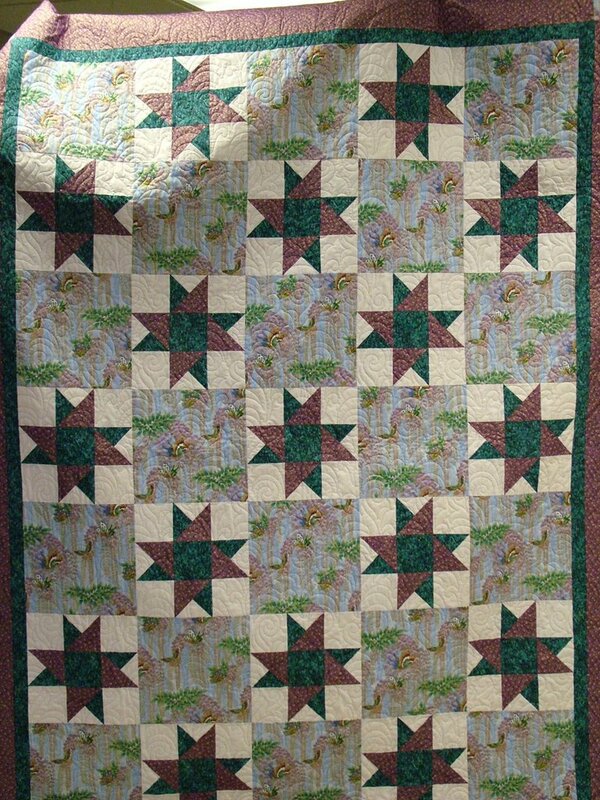 I have been working on the sampler quilt for my sister-in-law and got all the rows sewn together today too. It took an hour for each row! It is really beautiful. The colours are a red, green gold and chocolate brown (Moda kind of colours). I have to find a border fabric now. I will be going with some friends to a shop called the Door Mouse, it's in Ohio, next Saturday. I have to go and do some laundry. The fun never ends around here, hahaha!! Well, I have returned from the Big Ten championships in Minnesota. My daughter swam well, 2 lifetime bests! It was really, really cold there though. This is a photo of my daughter and her teammate with frozen hair! She froze her hair and I am the one that returned home ill! go figure. I did manage to visit some quilt shops while on this little trip. We stopped in Hudson, WI and there was a nice little quilt shop right off the highway! I bought a few things there. Then between prelims and finals, I went to 3 quilt shops in MN. I found a wonderful book entitled, "Minnesota Memories". I loved some of the things in it, like the mosquitos and fish and bobbers! 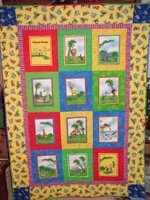 I want to make a fishing quilt for my husband and thought those things would work into it very well. I finished my siggy swap blocks and now have to write on them and then get them in the mail. I am excited to see what everyone else has done. I will post a pic of mine here later in the week. I am also working on 4 dresden plate blocks for a friend of my daughter, Shelby's. I got all the "plates" done and they are pinned to the background. I am hoping to get that done soon so I can move on. 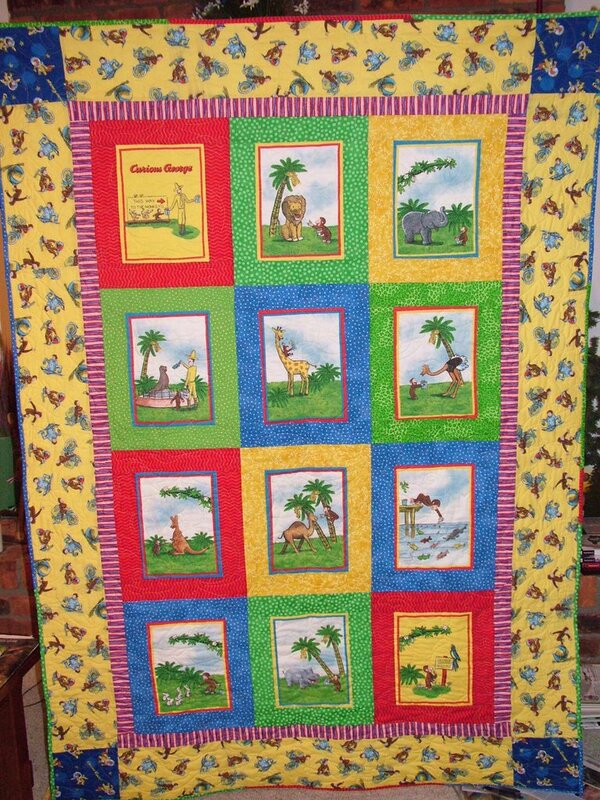 I need to finish the quilt for my sister-in-law so I can begin to work on quilts for my son and husband. 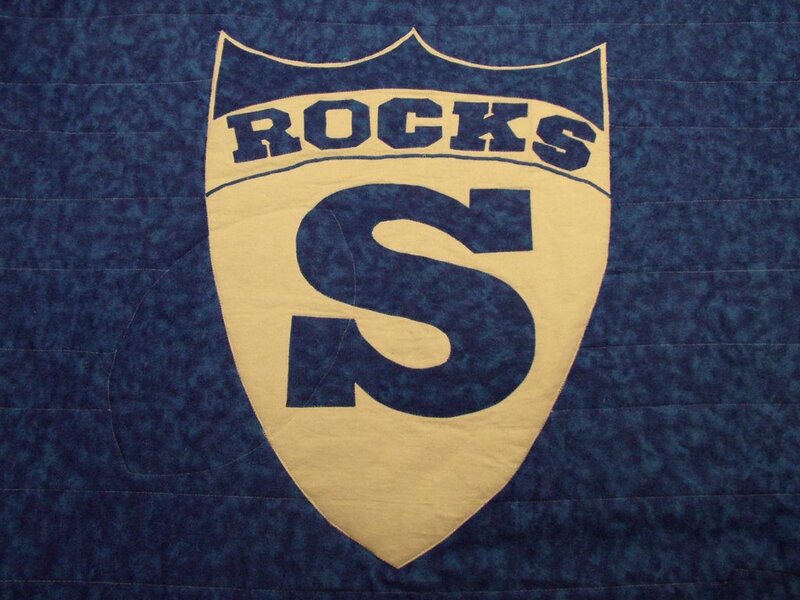 I still don't have a quilt on my bed and that is one of the things I want to accomplish this year! 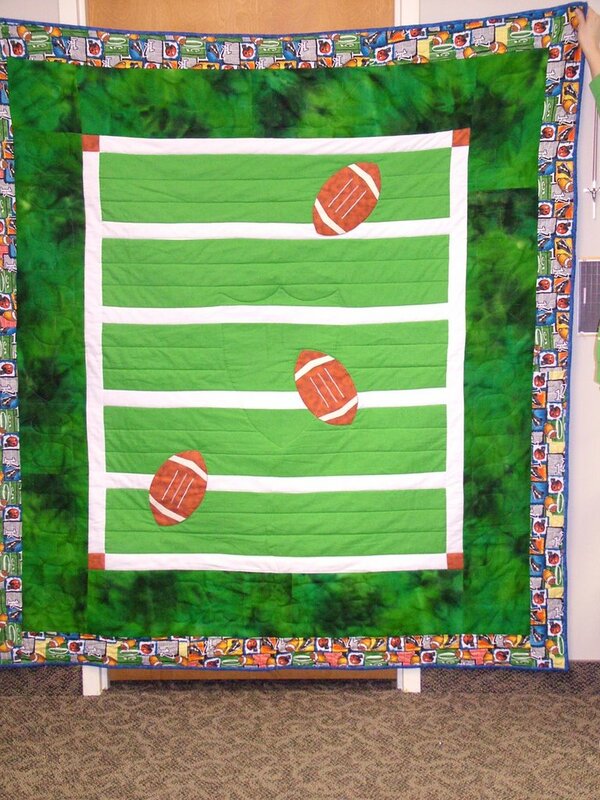 I was working on several quilt projects last night while watching the superbowl, or rather the super bowl commercials. 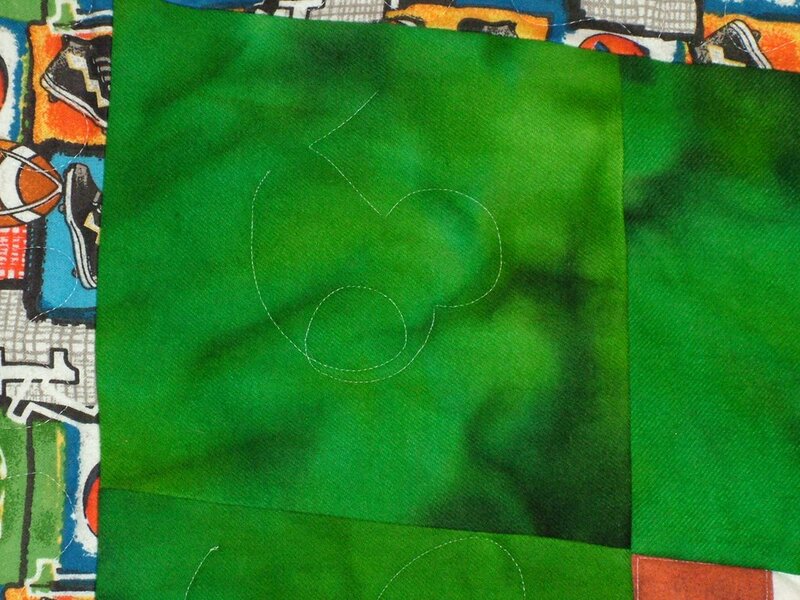 I am making a sampler quilt for my sister-in-law and brother-in-law's 25th anniversary, so I worked on those blocks. The pattern was spread out in 3 magazines so now that I have them all I can actually work on finishing it. I have the blocks from the first month done and am now half way through the second month. 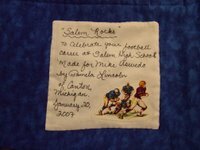 Then one of my daughter Shelby's friends gave her some fabric that used to be her grandmothers. She asked if I could make something from it for her to remember her grandmother by. The fabric looks like it is from the 70's so I wanted something kind of old-fashioned. I decided on a dresden plate. I made one of the units last night. I will applique it down in the car on the way to Minnesota this week. I used a template from Elenor Burns that made the point east and no needle turn! The top was a straight cut, I folded the "petal" in half length wise and sewed a 1/4" seam across the tip of the petal. Well, when you turn the seam to the inside of the petal the point is made and you have no raw edge for the point! It was great! I then sewed the petals together into the ring. Now I will applique it down and make a center to cover my raw edges on the inside of the unit. I think I will make 4 of them for a wall hanging. The colours of fabrics are so varied that I think each plate will be a different colour scheme. We leave for Minnesota on Wed. My middle daughter swims for Michigan State University. 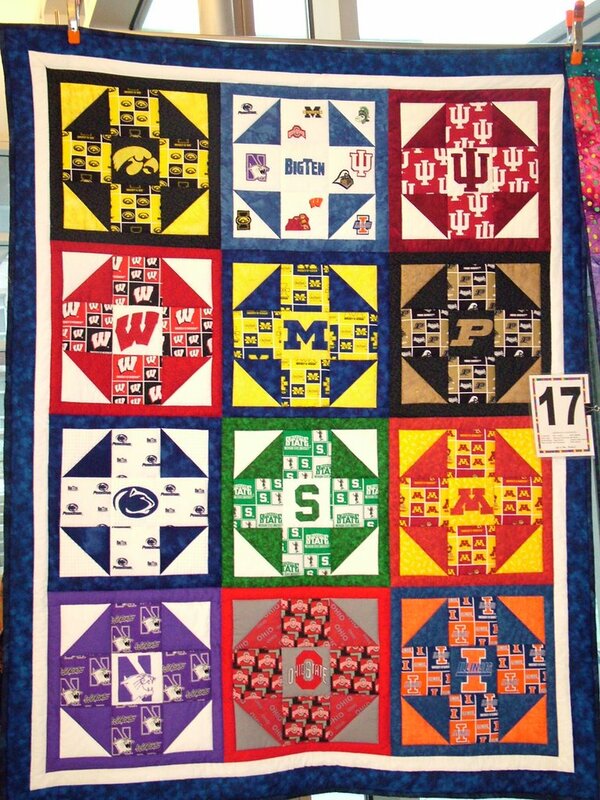 MSU is in the Big Ten Conference (see the quilt in the last post for all the schools). 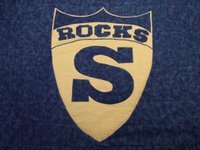 The championship meet is Thurs-Sat this week. She is swimming one event each day. Keep her in your thoughts and pray for some fast swims!! Leave me a comment and let me know what is going on with you and your families! It's been awhile since I have had time to post. Life has been hectic to say the least! I hope everyone had a nice holiday and is looking forward to 2007. 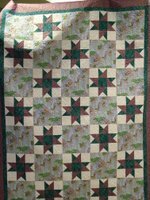 After the U of M raffle was done I didn't think I would want to quilt for awhile, but I ended up making a "quickie" just before Christmas. We were doing a secret santa in our lab and I just happened to draw one of my friends. Well, she is from Brazil and had never heard of the poem "The Night Before Christmas. So I decided to give her small gifts from the poem. I was stumped for the final gift, which is usually something nice. My husband and I were in Shipshewana and I was in the fabric store (of course) and there I saw it. A "Night Before Christmas" panel! 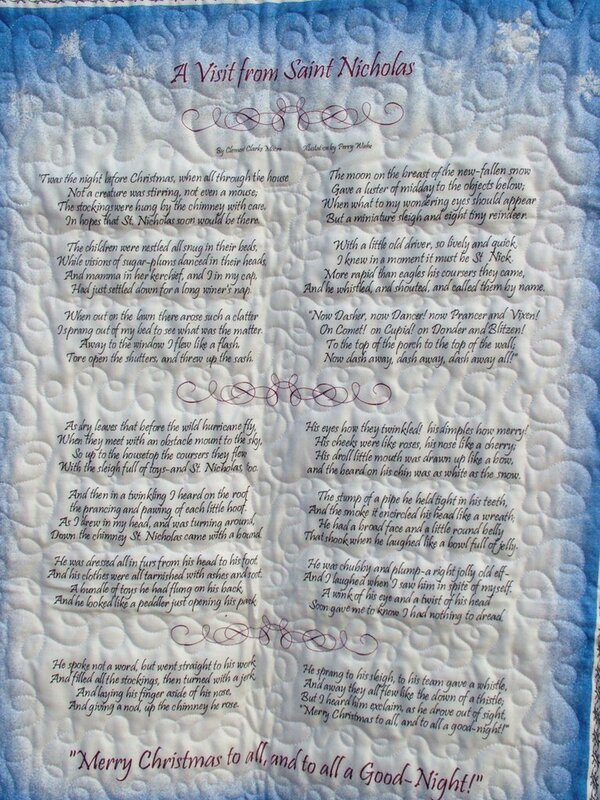 Well I *had* to buy it and make a quilt for my friend!! She loved it. 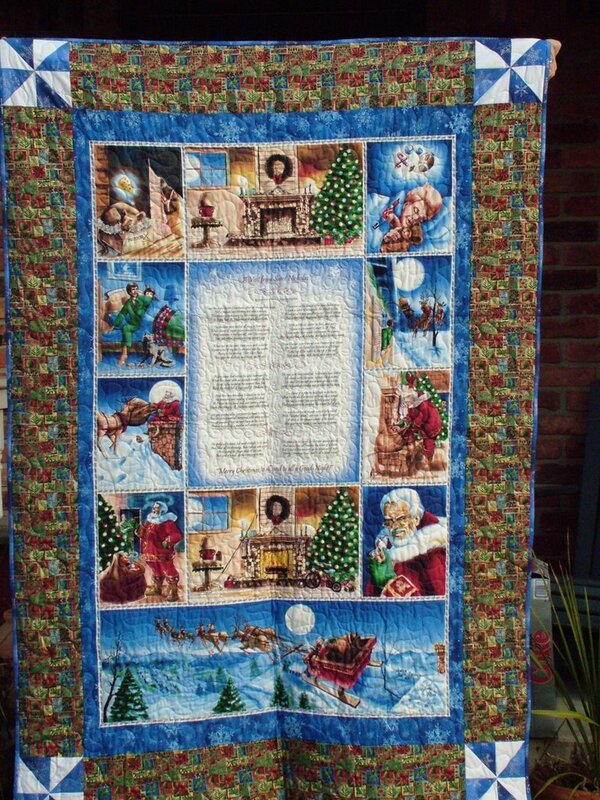 So that was my last quilt before Christmas. Since January 1st of 07 I have finsihed and given away 3 more!! My son has a good friend who was just diagnosed with Lukemia. He is only 15. They played football together. 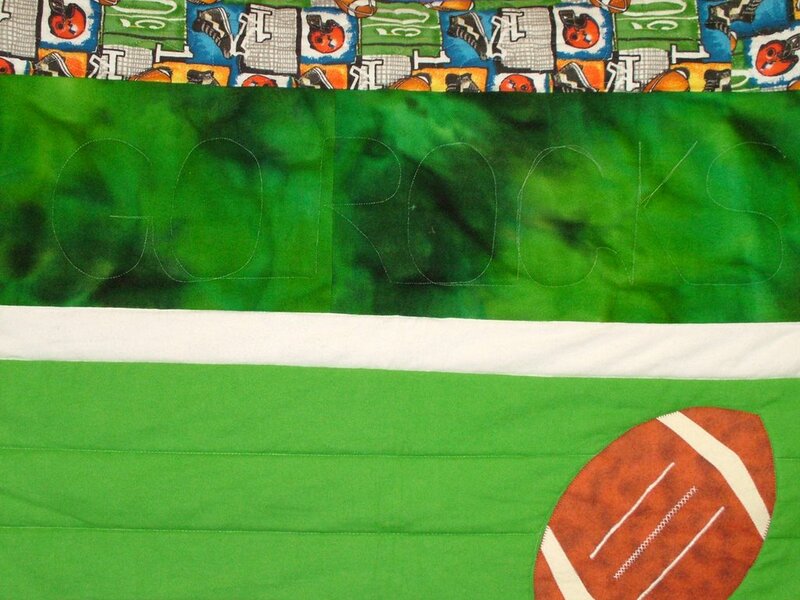 I made him a football field, complete with his number in the corners, "Go Rocks" (the school mascot) quilted into the sides and the school emblem appliqued on the back. It was all flannel so when he has his chemo he can stay warm. 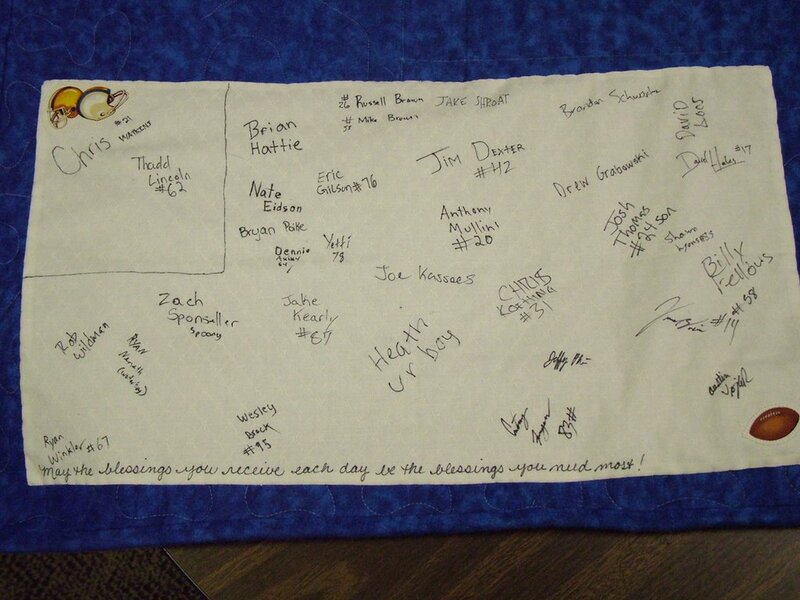 Well, we had a little party and all the football players signed the large label and Mike loved it! The next one was for a raffle of a sister parish. 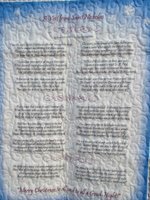 Our priest asked out church group to make a quilt for them and as the leader, it sort of fell to me to get it done. 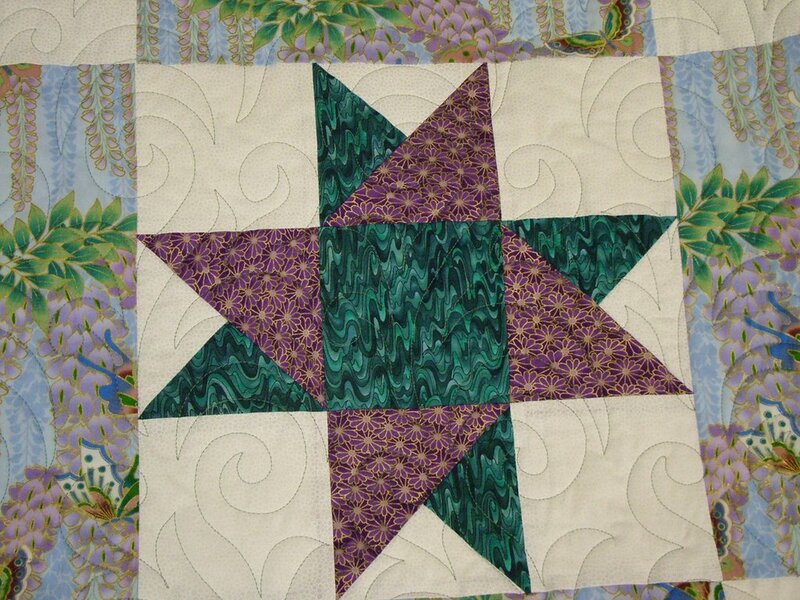 I used asian fabrics and a variation of a friendship star and desigedn it, it was a simple one! The last one was for a good friend's daughter. She has been having some health problems too. Not as serious of the lukemia (we hope anyway) but difficult anyway. She LOVES Curious George. Years ago I bought a panel that was a soft cloth book of CG. I made it into a quit for her. She loves it!! 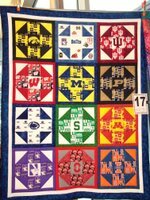 I will post some pics of these quilts along with the "Big Ten" quilt, which was the other one I helped make for the U of M raffle. 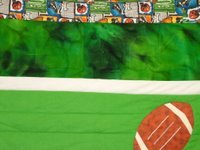 I actually made the MSU and Northwestern, and Big Ten blocks and I appliqued all the centers except Wisconsin and Indiana. 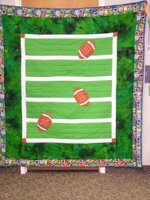 We had 26 quilts and raised $11,000 for our charity! Enjoy the pics and let me know what you think of the quilts!